I always find it interesting going to a new church as they all have something unique about them. Take the vibrant blue doors of St. Thomas Aquinas in Toorak, for example – it’s a little gem, that not many people know about! 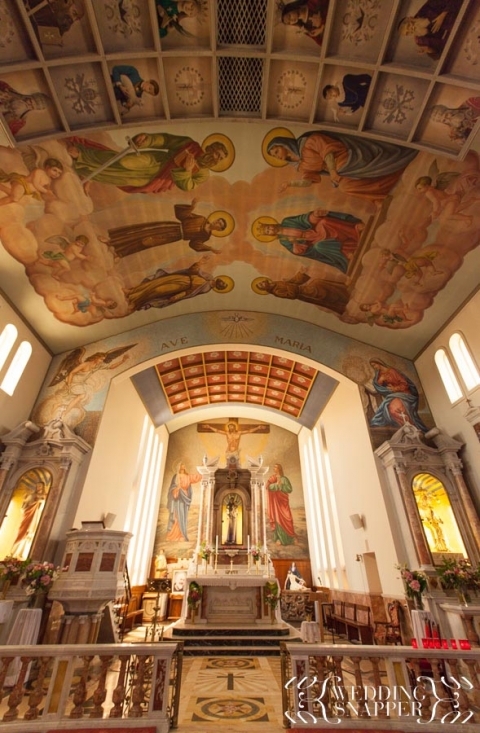 Anyway, Antonio and Tian’s recent wedding took me to St Anthony’s Shrine on Power Street in Hawthorn/Kew, which was built in the 1960’s by the incoming Italian migrant community. Whilst it’s exterior does little to excite me, it’s interior is truly spectacular – it made me feel like a tourist in Sicily for a moment! Friar Robert Stewart describes it as being “like a village church”, and I think he’s onto something there as it’s fairly large but does feel very intimate and welcoming. Anyway, just thought I’d share my recent church adventures! For a man who isn’t religious, I do find it quite amusing that I seem to spend plenty of time in church!